Groundbreaking research developing new treatments for neurological disorders has been given the go-ahead with funding from the Health Research Council of New Zealand (HRC). Over $7 million of grant funding has been awarded to scientists working in the Centre for Brain Research. The new programmes include $4.46M over five years to Professor Mike Dragunow and his team running the Biobank and Human Brain Bank. Over 100,000 New Zealanders are currently living with neurodegenerative conditions. The rate of Alzheimer’s disease is increasing in New Zealand, and CBR researchers are contributing to the global effort to find more effective treatments to combat this, and other devastating neurological disorders. Professor Dragunow will work with Professor Richard Faull and other scientists to study the underlying causes and treatments for Alzheimer’s, epilepsy, Parkinson’s, and Huntington’s disease. The world-class team of neuroscientists and chemists has well-developed linkages with neurosurgeons, gerontologists, other clinical groups in the District Health Boards involved in clinical trials, and with NZ Biotech industries. Their goal is to translate lab-based research into therapies for patients suffering from neurodegenerative diseases. Other projects funded include a study to determine personalized treatment pathways for stroke patients. Dr Cathy Stinear and her team at the Brain Recovery Clinic will use MRI and other techniques to define the rehabilitation strategy which will work best for each patient. In another project, Professor Laura Bennet’s team will examine whether stem cells can help brain-injured preterm babies. Meanwhile Professor Suzanne Purdy’s speech therapy team will look at therapeutic outcomes from being part of the CeleBRation Choir. 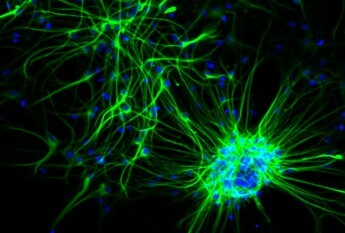 Can Pluripotent Amnion Epithelial Cells help the Injured Preterm Brain?